Located 25 minutes southwest of Portland, the charming town of Sherwood is nationally ranked among the best places to live and raise a family. A rail line still runs through the center of its rustic historic district. 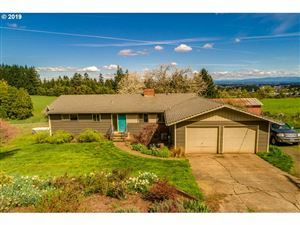 Well known for its lush green forest backdrop in Oregon's award winning wine country, Sherwood is surrounded by rolling hills of fertile farmland, views and friendly faces along the way - proudly offering something for everyone. The biggest draw for families is the access to major employers nearby. Nike is headquartered in Beaverton (12 miles away), for example, and Intel's largest site is located among other high-tech companies in Hillsboro (18 miles away). Despite its proximity to Oregon's biggest city, Sherwood has many restaurants and cultural activities of its own.